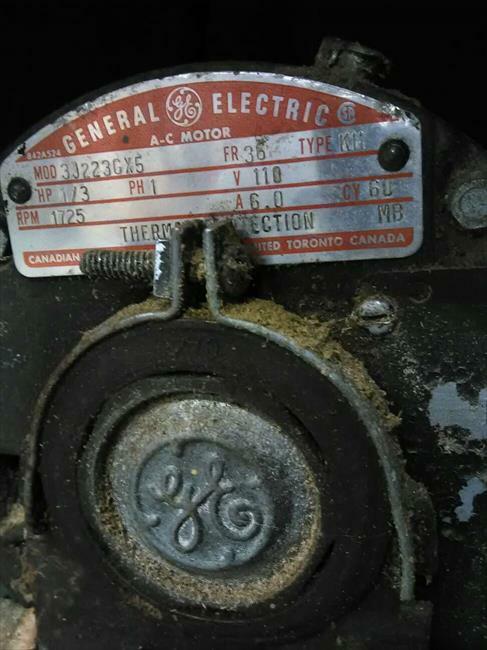 Responded to an ad, bought for $150 the motor looks original and works. 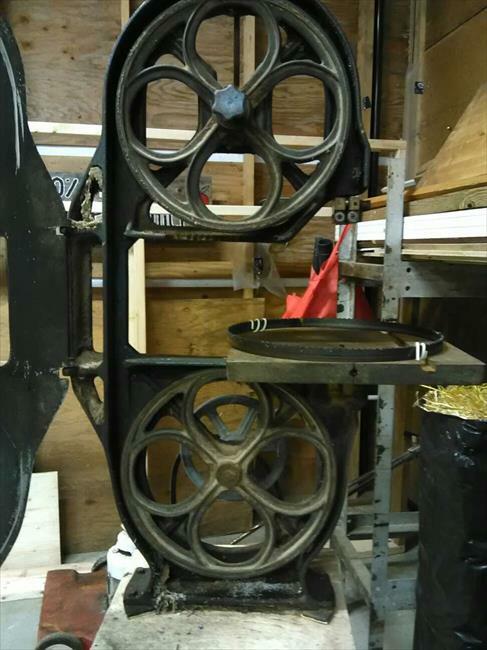 Wheels turn freely and takes a 90" saw. Very heavy for its size, not sure of the original colour but has an 'art deco' look to it. 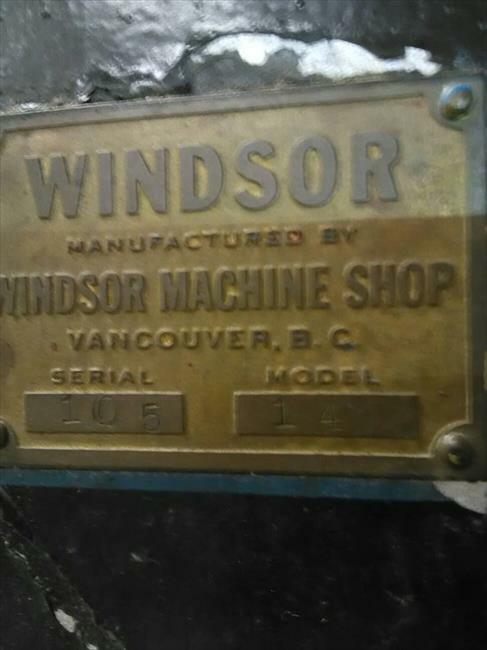 Any info on the Windsor Machine Shop from Vancouver BC appreciated. 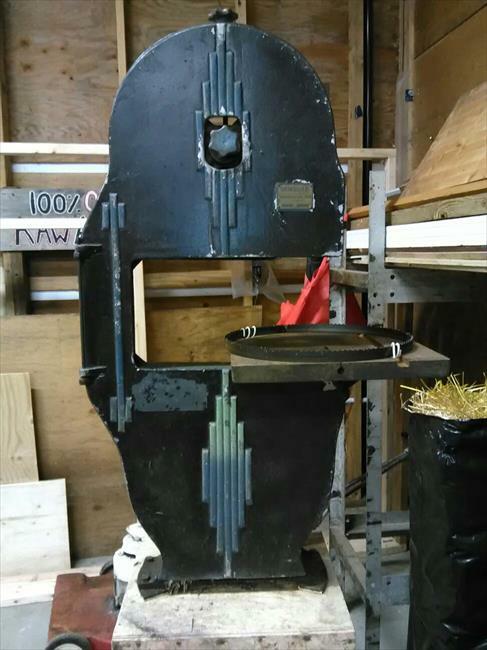 I hope to restore and use the saw.